The EBSQ Friday Five offers a brief look at noteworthy news from around the EBSQ Artist Blogosphere. This week features four entries from our June Shows plus an introduction. 1. 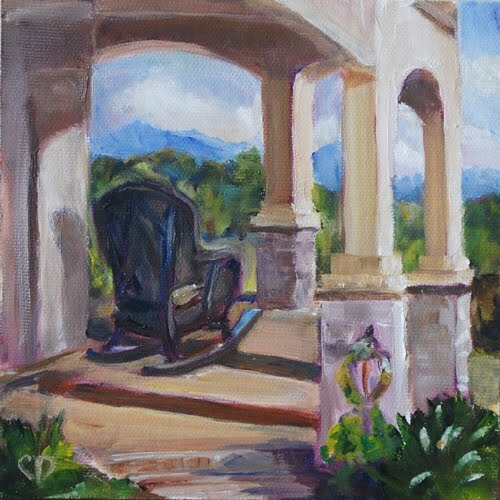 Unto the Hills – Carol Demumbrum shares the inspiration behind her entry to the Plein Air Show. 2. Pansy Sisters – Sara Burrier’s entry to the Pansy and Violas Show is a magical delight! 3. Resting – For the One Word Concept Show Mary T. Scandurro painted on clayboard for the first time. Read about her experience. 4. Yellow Pear II – All I can say about Torrie Smiley’s Redux entry is…Wow!